CureMyPC has made some strategic partnerships to ensure the highest quality in customer service. “We [CureMyPC] have chosen high quality organizations, with proven track records, to help facilitate the growing demand for our services,” says Armstrong. The company is focused on brining a higher customer experience to a service-based industry. There is an ever-growing demand for technical support services, and with the successful launch of its new online support product, CureMyPC is here to fill that need. CureMyPC operates a nationwide 24/7 computer support service to help computer users by solving their technical problems over the phone and Internet. 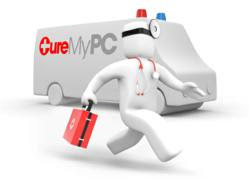 By facilitating phone and online support only, CureMyPC is able to offers its products at a competitive rate within its industry. The company specializes in: computer virus removal, spyware removal, software assistance, Internet connectivity help, speeding up slow computers, and extends many other services.